It’s only October, and while it’s not yet Halloween, many people already have Christmas on their minds. It’s a good idea to start thinking about your Christmas shopping now, as the malls will start getting packed come next month. Why not skip the malls this year and get your shopping done now – like by the end of October? Does that seem impossible? It’s really not, now that American Express is offering two great promotions on their gift cards. These gift cards make the perfect present for anyone on your list. Millions of merchants accept American Express. These gift cards can be used virtually anywhere, so your lucky recipient can use one to fill up a car with gas, buy groceries, enjoy a meal at a restaurant, splurge on a massage or manicure, pay bills and even shop online. American Express gift cards have many benefits. They never expire and have no monthly fees or inactivity fees. This means your recipients don’t have to use the cards right away. They can hold onto them for years for a special purchase without worrying about the cards losing value. Make the holidays brighter for loved ones – and your wallet – by using one of the promo codes below to purchase American Express gift cards. But don’t wait too long – both expire on 10/31/16. 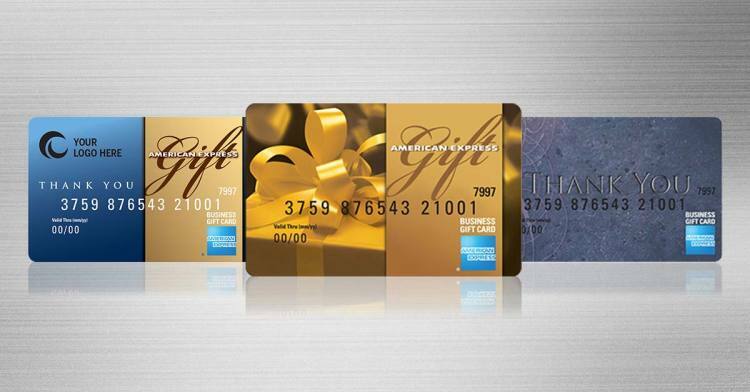 American Express Gift Card – This is the generic, non-personalized version that you can give to family and friends. American Express Personalized Gift Card – This one allows you to personalize it. You can add the recipient’s name or initials. American Express Business Gift Card – This is the generic business version that you can give to clients, employees, vendors or anyone else your company does business with. American Express Custom Business Gift Card – This card allows you to add a custom message of up to two lines. Use this card to say “thank you” to your employees, co-workers and clients. Typically, you have to pay a fee of $3.95 to buy an American Express gift card. Until 10/31/16, you can waive this fee by using promo code "FEE16" when you order online at www.americanexpress.com/gift. This offer is available for gift cards and business gift cards. You can use it on various categories, such as Classic, Specialty, Personalized, Business and Customized. You can use the promo code on more than one card, so feel free to purchase multiple gift cards and reward everyone who is important to you. Note that this promotion does not apply to Gift Cheques, Logo Gift Cards and eGift Cards. Shipping an American Express gift card typically costs $5.95. Two-day shipping costs even more, at $8.95. When you use promo code "FREESHIP16" by 10/31/16, you get expedited shipping for free. You can waive your shipping costs by ordering online at www.americanexpress.com/gift and entering the promo code when prompted. The same rules and restrictions listed above apply for this promotion as well. Note that you can’t use both promo codes at the same time. You can choose either free shipping or free purchase. If you choose to waive the purchase fee, you’ll have to pay shipping. If you choose free shipping, you’ll have to pay the purchase fee of $3.95 per card. However, there is a workaround. You can sign up for a program called the Premium Shipping Plan. This allows you to get free next-day air delivery on all your American Express gift card purchases. However, it costs $99 per year. You can sign up for a free trial, however, and get free shipping for 90 days. You must cancel within that time period, though, if you want to avoid paying the $99 annual fee. Click here to learn more about this program. Note that this offer is not available in stores. You must order online by 10/31/16 and use the promo codes in order to save money. It pays to start your Christmas shopping early! If you’ve recently received a new credit card that offers cash back or miles when you spend a certain amount of money in the first few months, you might need ideas on how to use your credit card and earn the rewards. Here’s your opportunity. Use your credit card to buy American Express gift cards. Buy whatever amount you need to reach your minimum spend, whether it’s hundreds or thousands of dollars. Give them to everyone on your list. You can even get a couple gift cards for yourself – you’ve deserved it! It’s a quick and easy way to earn your rewards and get Christmas shopping done early. It’s a win-win! Stop stressing about what to buy everyone. Save time and hassle by giving everyone on your list the same thing: American Express gift cards. They make great Christmas presents for anyone in your life, from family members to friends to neighbors to co-workers. Take advantage of these promo codes and stock up today. You can even customize them and make the holidays even more special.